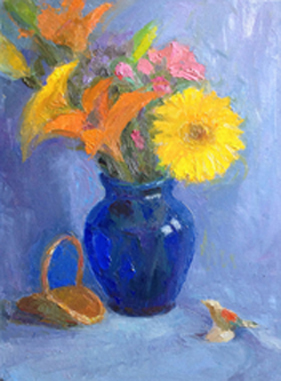 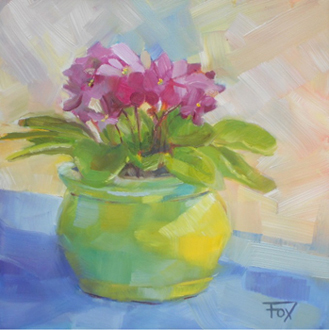 "Party in a Green Pot"
This exhibition pays tribute to the artistic legacy created by award-winning Maryland artist, John Ebersberger. 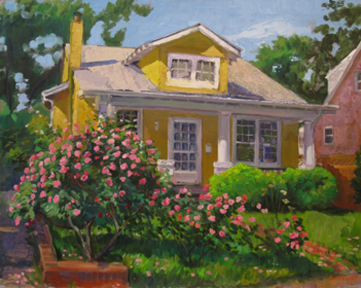 An Impressionist plein air painter, John made the long historic trek to study with Provincetown, Cape Cod artist, Henry Hensche the summer of 1982 at the The Cape School with 5 other Maryland painters. 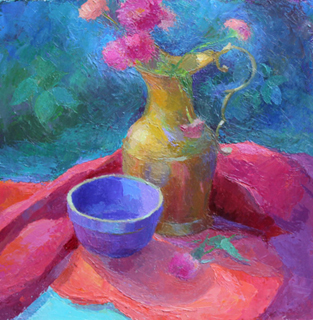 It was the beginning of a new way of viewing color and light in paintings. 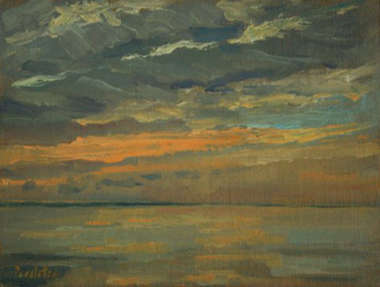 Ebersberger has exhibited in museum shows, solo shows and won awards for his portraits and Impressionist paintings. 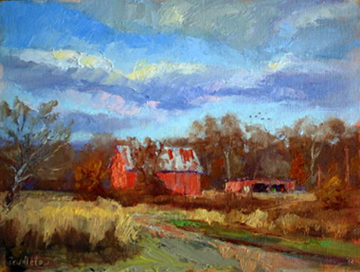 Not only did John Ebersberger begin showing his ‘new’ paintings in Annapolis galleries, he also began a regimen of classes and workshops, many at Maryland Hall for the Creative Arts. 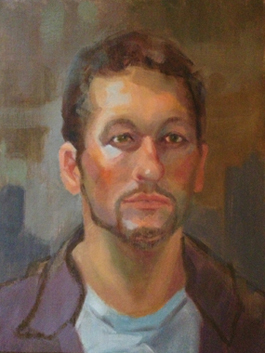 Over the past 25 years, hundreds of promising painters under his tutelage, studied the new ‘colorist’ techniques. 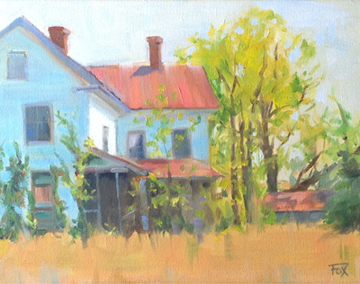 Many of these painters now show in art galleries and plein air competitions and some are teaching and passing on the Impressionist ‘color and light’ lessons. 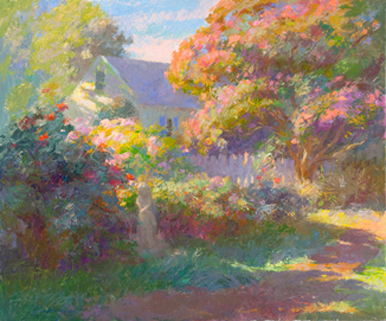 Abigail McBride is an Impressionist colorist, who worked summers during college as an assistant to the instructors at The Cape School. 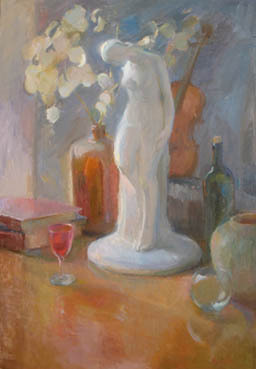 An award-winning painter with a growing list of acknowledgments, McBride has exhibited in museum shows, solo shows and won awards for her still life, figurative and landscape paintings. 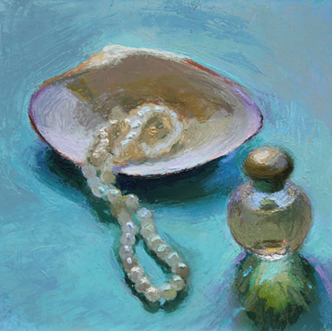 Abigail has also continued the tradition of artist teaching artist, hosting workshops and teaching students at Maryland Hall for the Creative Arts and at Anne Arundel Community College.